I was setting up my FireTV (seems to be a TV with built-in FireStick functions). I was stuck, waiting for a verification code which never arrived on my phone. I was expecting an incoming text. I was wrong to expect that. Because of the way your account is set up, your login needs to be verified. In the next step, you can enter the verification code which will be sent to your phone. OK, I pressed next and waited. OK, let’s go back and try again. Get into Amazon support via chat. Oh, your device is already registered to another account. eh? I only just opened this box and plugged it in. 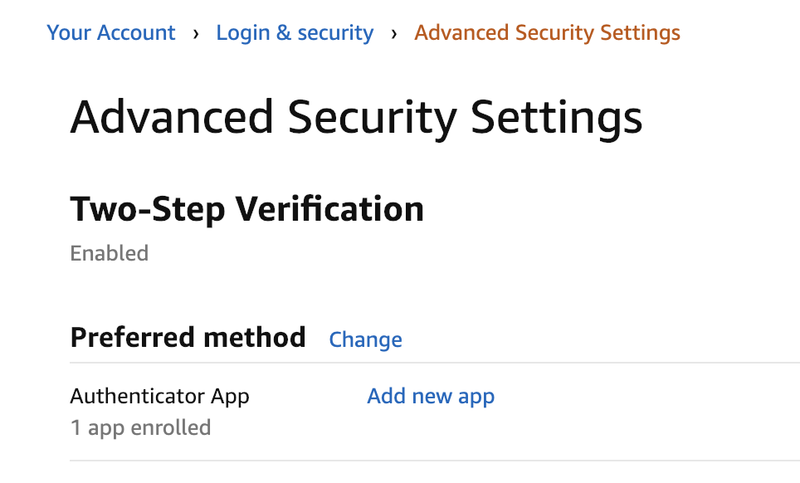 While it is factor resetting, I go into Amazon.com and visit Your Account, and click on Login & security. Then I click on Advanced Security Settings: Manage how and when you receive security codes. The verification code was *ON* my phone, not *SENT* to my phone. It would be nice to have known that before wasting 90 minutes.